There are times in life when a glass of red wine and a savoury nibble are the perfect luxury and this crafty Emergency Kit means a special Mum has an instant treat on hand just when she needs it most. All she needs to do is break the seal to enjoy a little bit of 'me time' (courtesy of you). 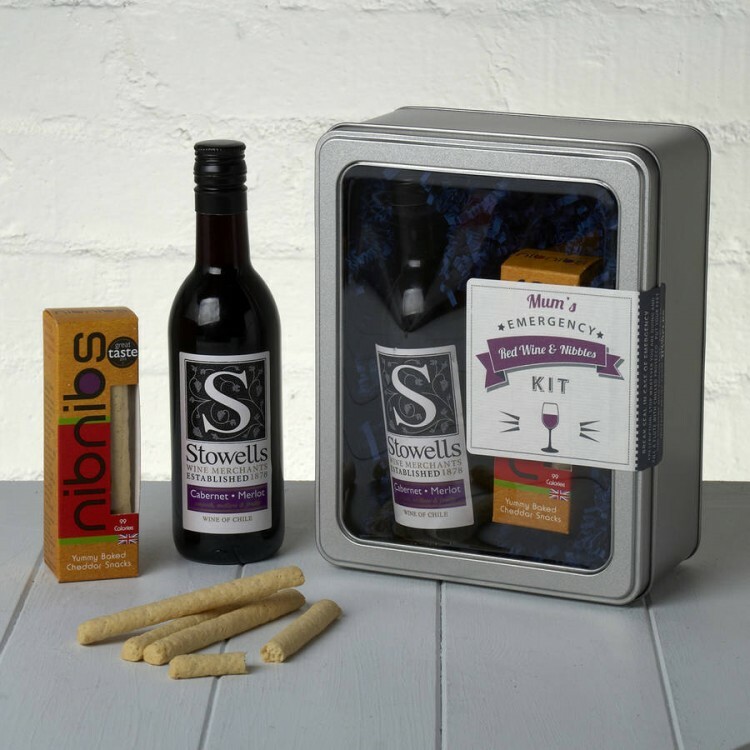 Our Mum's Red Wine & Nibbles Emergency Kit is a perfect present for so many different occasions: whether it's a Birthday, Christmas treat, Mother's Day gift or just a fun way to say 'Thank You' or show a special Mum that you're thinking about her. 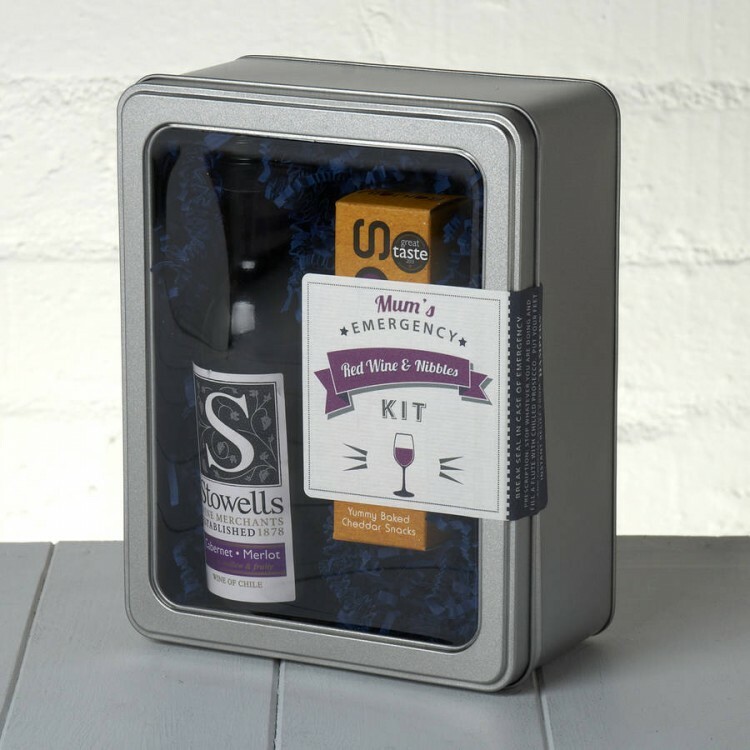 We've partnered a delicious Cabernet Merlot together with Nib Nibs delicious Sour Cream & Chive Mini Bread-sticks for this Mum's Emergency Pamper Kit! Presented in a stylish window tin lined with coloured shred and finished with a 'Break Seal in Case of Emergency' label, it's a 'ready-to-give' gift. You can even add your own personal message and specify delivery direct to the lucky Mum.